Figuring out what products should be recycled versus what should be placed in the waste bin can be confusing, but fear not! There are basic guidelines you can follow on what should and should not be recycled. Ever since China started to reject an increased amount of U.S. recyclables, there is a lot of confusion about whether plastics and metals are being recycled. But many cities, like Derby, Kansas, have taken recycling partnerships in their own hands! Derby has arranged that their glass goes to McPherson, KS, white paper and cardboard to Hutchinson, KS, aluminum cans to Alabama and tin cans to Indiana. Even with this streamlined recycling network, there is still a small amount of effort required by individuals to ensure the recycling centers will accept your items. The first item recycling centers will not accept are plastic bags. The bags break down the machines that are used to sort recyclables, so it's best to just reuse these items. Second, your greasy, cheesy pizza boxes are too dirty, so throw them in the waste bin. This rule also applies for napkins and paper towels that you clean up messes with. The last thing most people are not fully aware of is the need to make sure you rinse out your bottles, cans and jars so they are clean. If you follow these simple tips, you can help ensure that your items are being recycled! 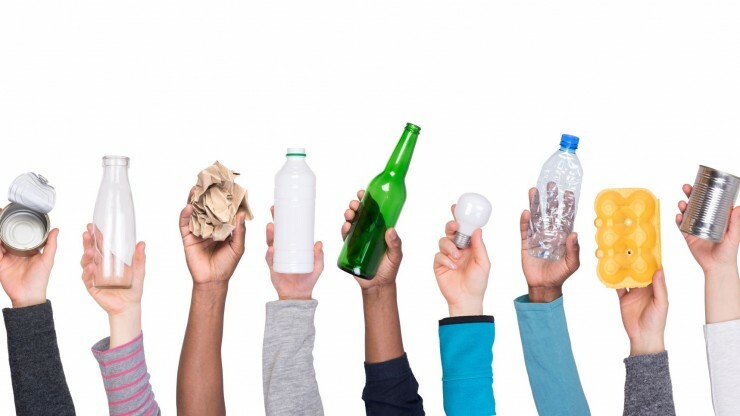 To understand how your city handles recyclables, reach out to your city manager's office to see how you can be improving your own recycling practices!